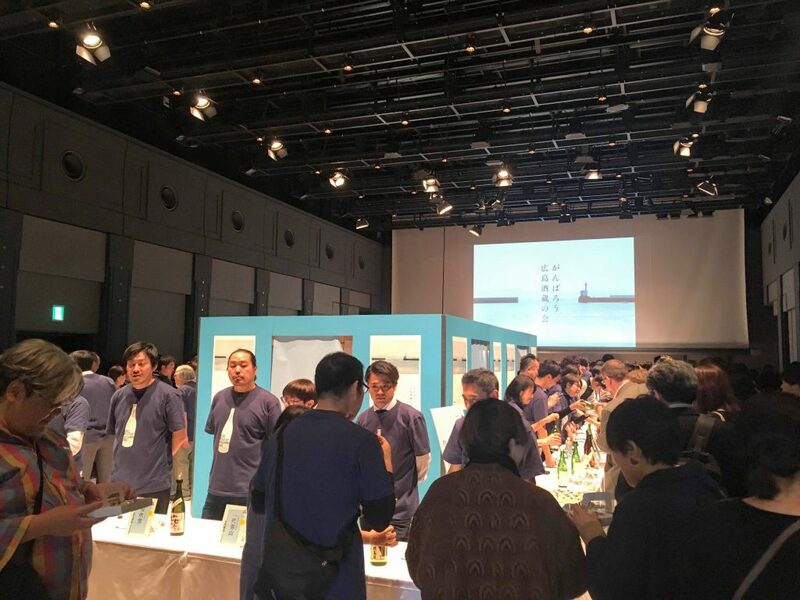 On 17th and 18th November, a sake tasting event named Aoyama Sake Flea vol.9 was held at United Nations University in Aoyama, Shibuya-ku, Tokyo. 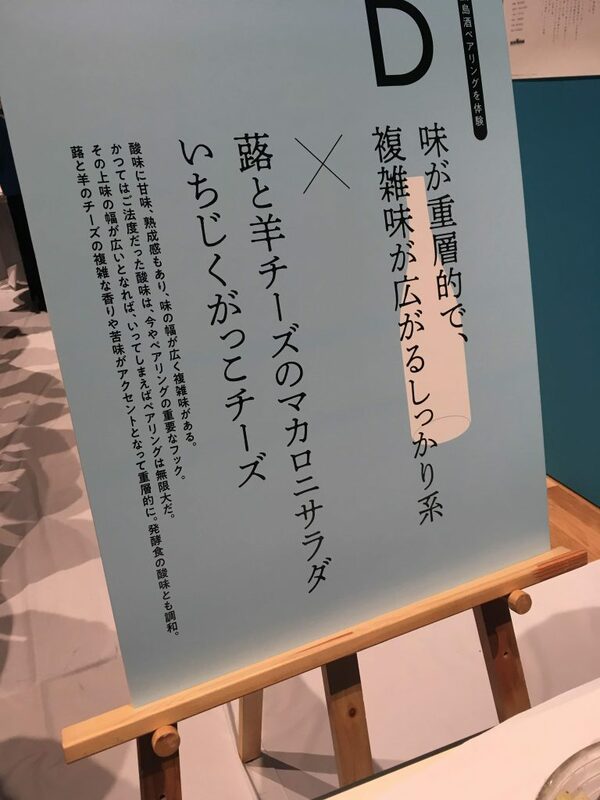 We’ve joined this event as a planner and an operator. 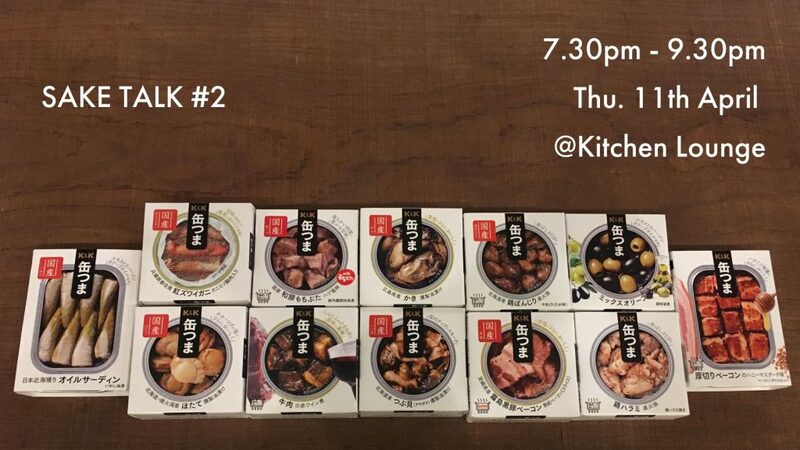 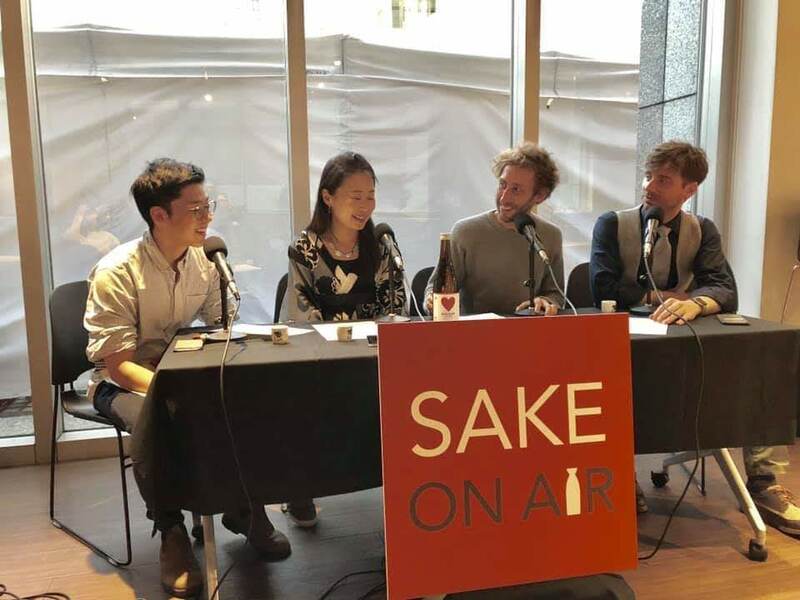 And this time, talked about sake culture and this event for a Podcast program. 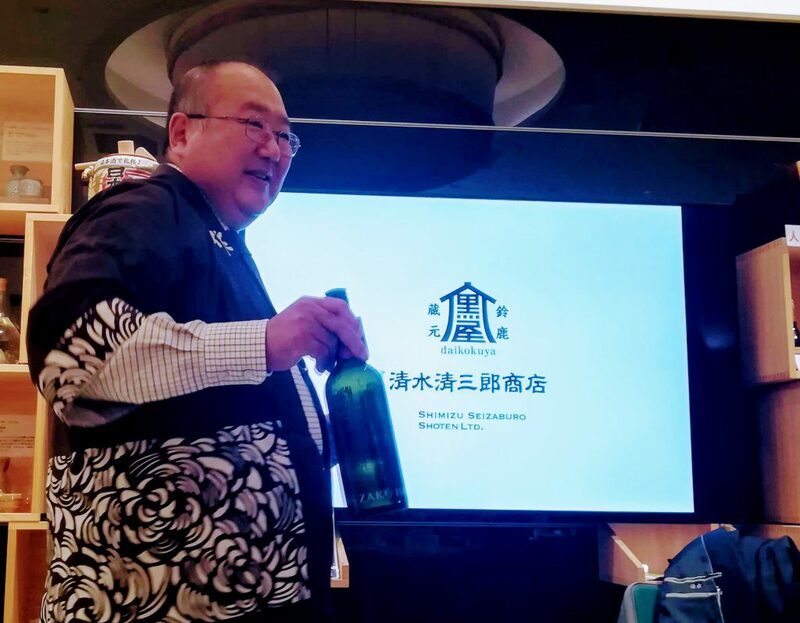 Mr.Shinichiro Shimizu, the president of Shimizu Seizamuro Shoten ltd.
On 24th Oct., the 20th sake salon of the sake2020 project was held with Shinichiro Shimizu, the president of the brewery in Mie prefecture. 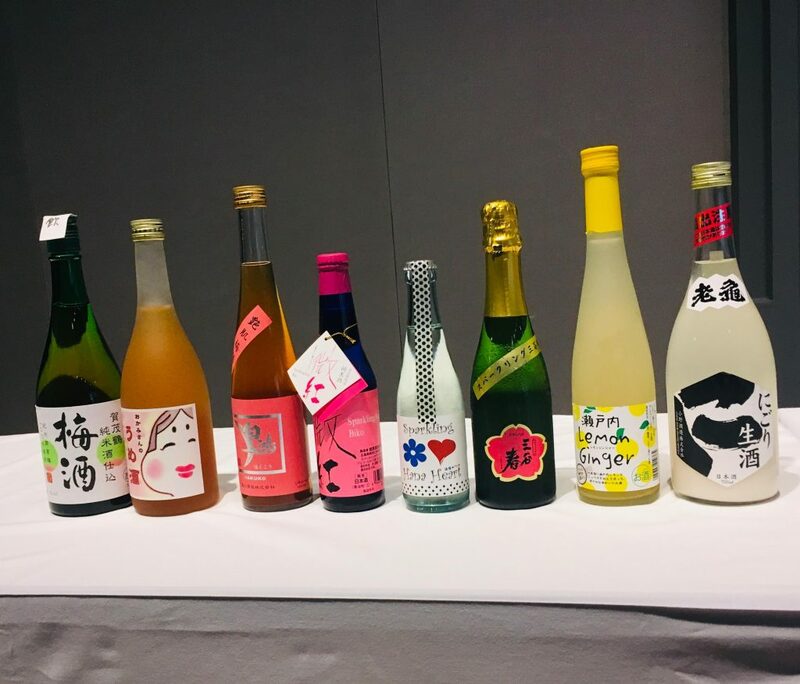 “Zaku” is undeniably one of the most popular and well-known brands of sake available in the market today. 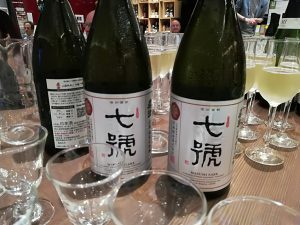 “Shimizuseizaburo-Shoten,” the brewery which makes “Zaku” is located in Mie prefecture in Suzuka city, which is also famous as a location of the “Suzuka Circuit,” a Formula One racetrack. 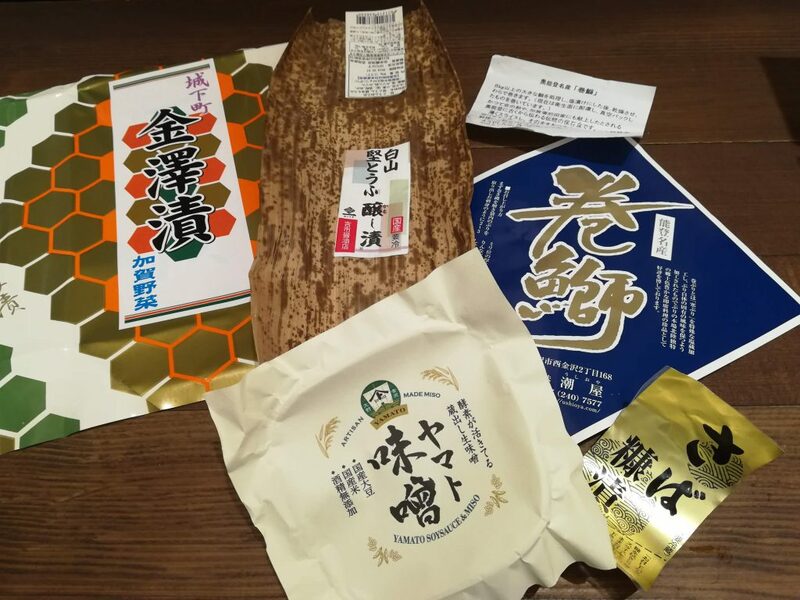 Blowing down from the mountains, the cold, winter wind called “Suzuka Oroshi” helps give “Zaku” its clear, crisp taste. 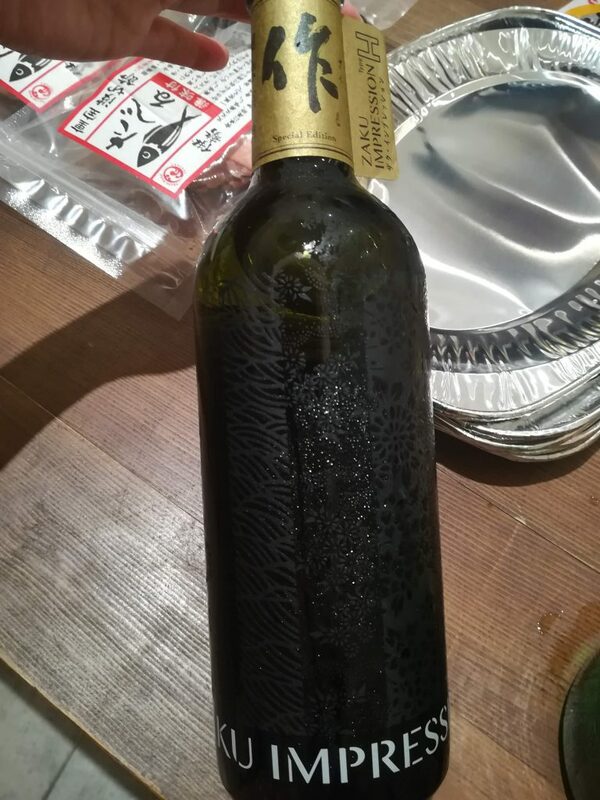 The bottle design of ZAKU IMPRESSION is traditional ISE-KATAGAMI. 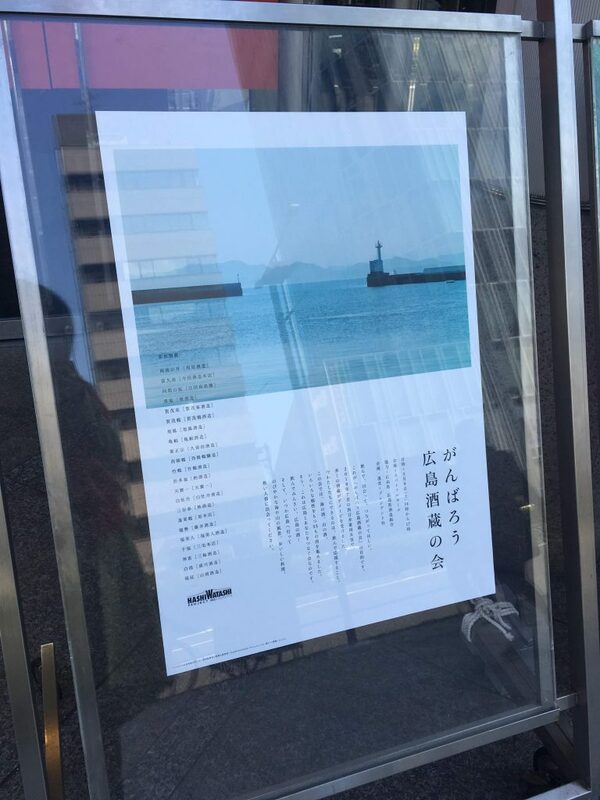 It’s so beautiful. 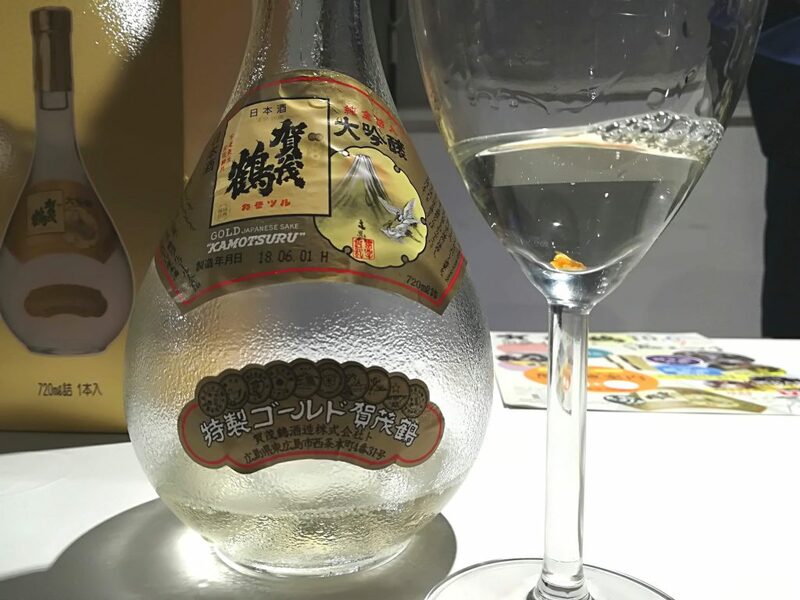 Very sophisticated, fruity aroma and the delicate, clear taste of “Zaku” has been popular with sake fans for a long time, but its popularity surged after it was chosen as the Kampai sake of the 2016 G7 Summit held at a beautiful coastal resort in Mie prefecture. 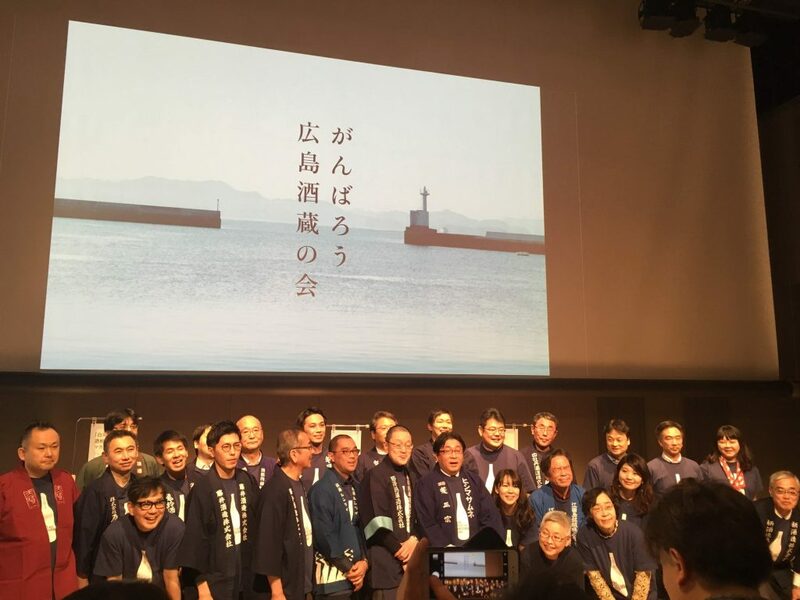 Mie prefecture is typically less well known outside of Japan but it is the home of Ise Shrine, a very sacred shrine of great cultural and historical significance to the Japanese people. 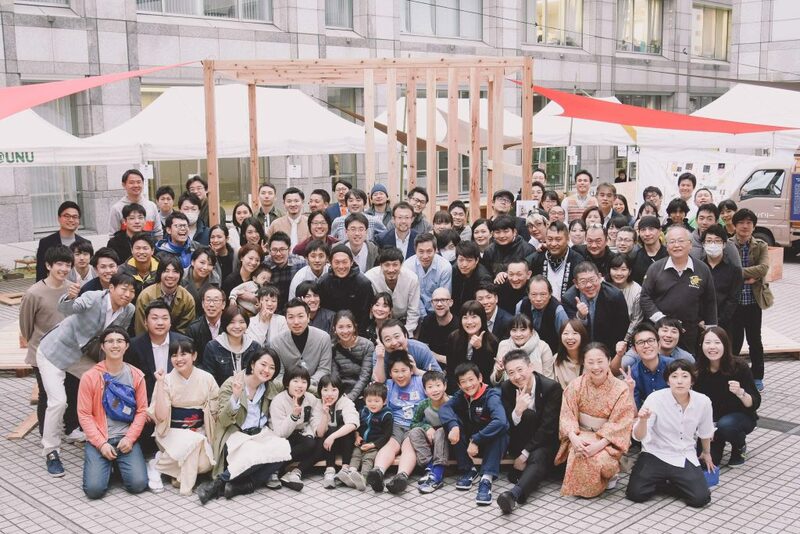 Since Edo times, people have made a pilgrimage to Ise Shrine and for many people it is the dream of a life time to visit there. 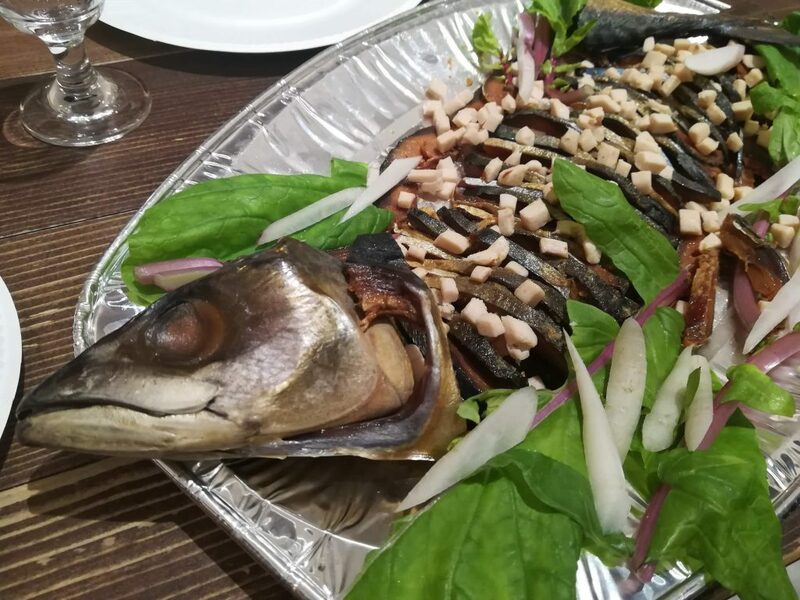 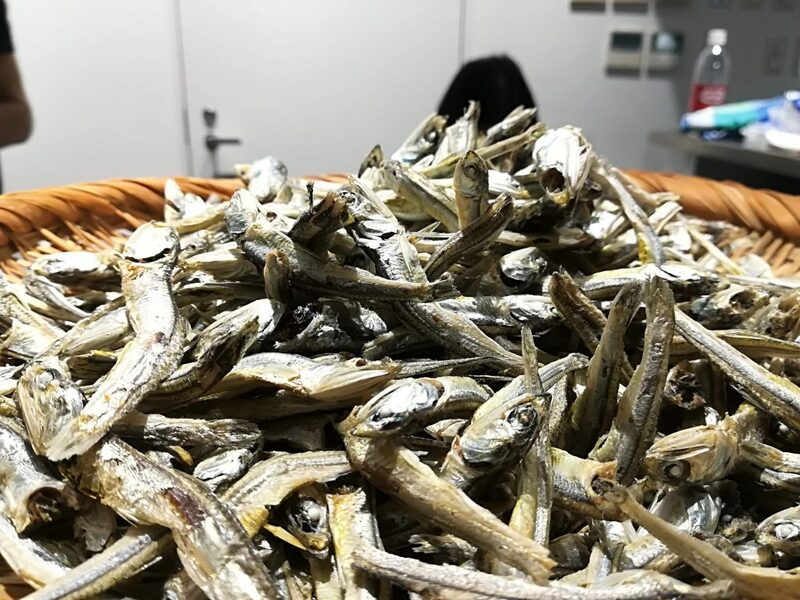 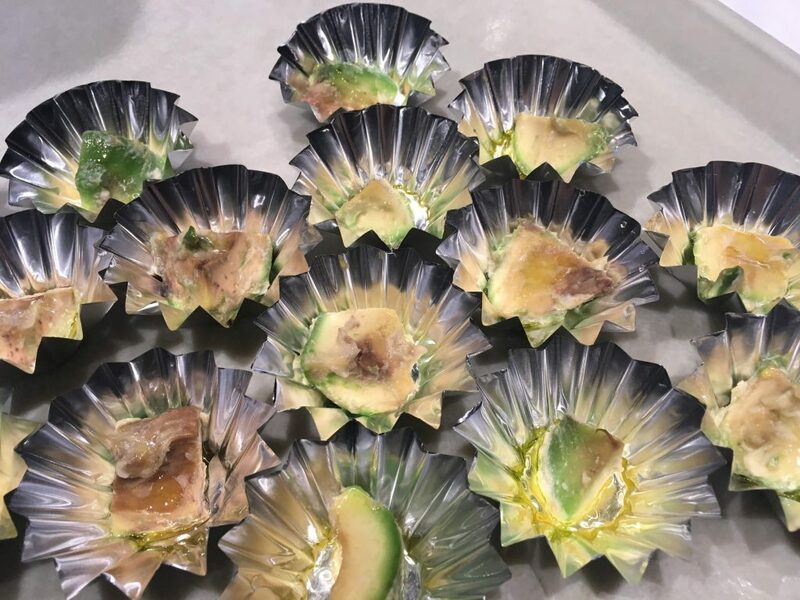 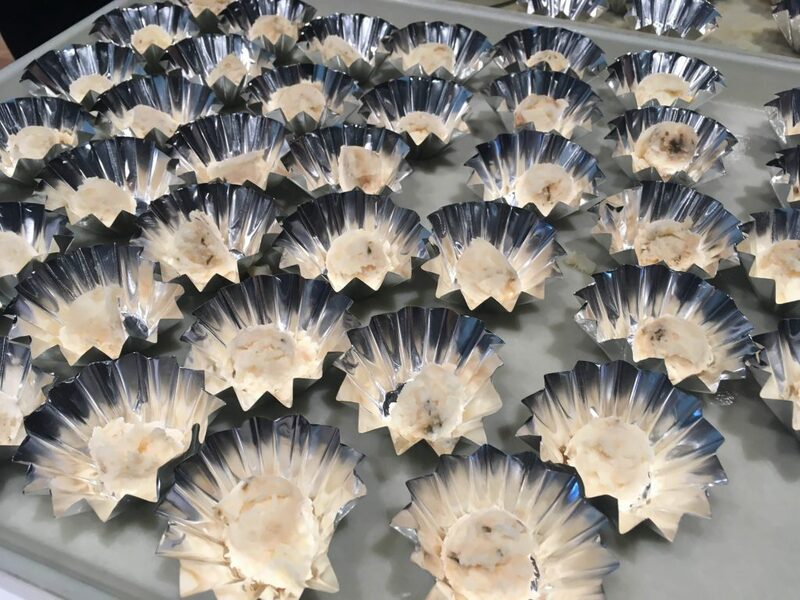 The constant flow of visitors to Ise Shrine has led to the development of a rich food culture which includes delicious Matsuzaka Beef and Matoya Oysters. 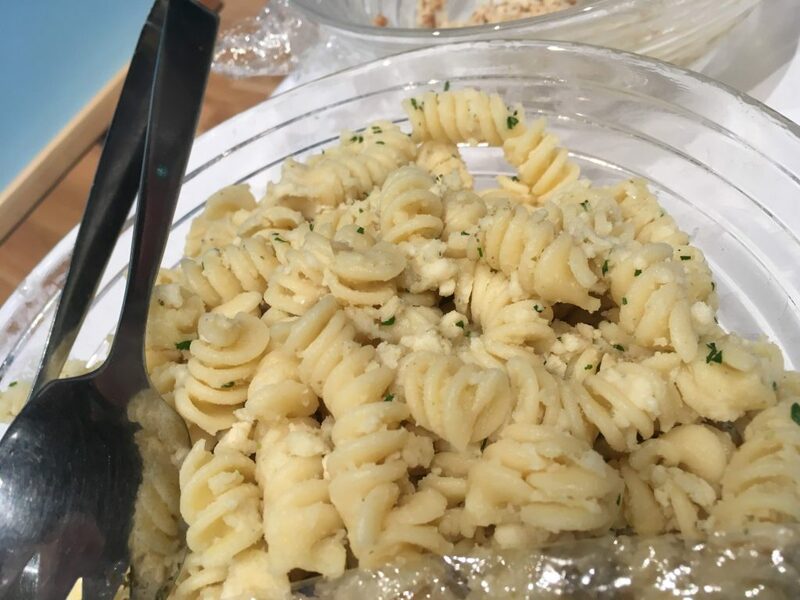 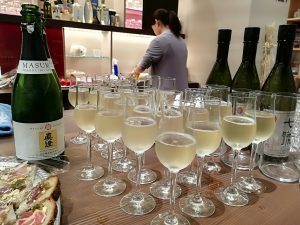 With great food you can often find great sake and Mie is no exception. 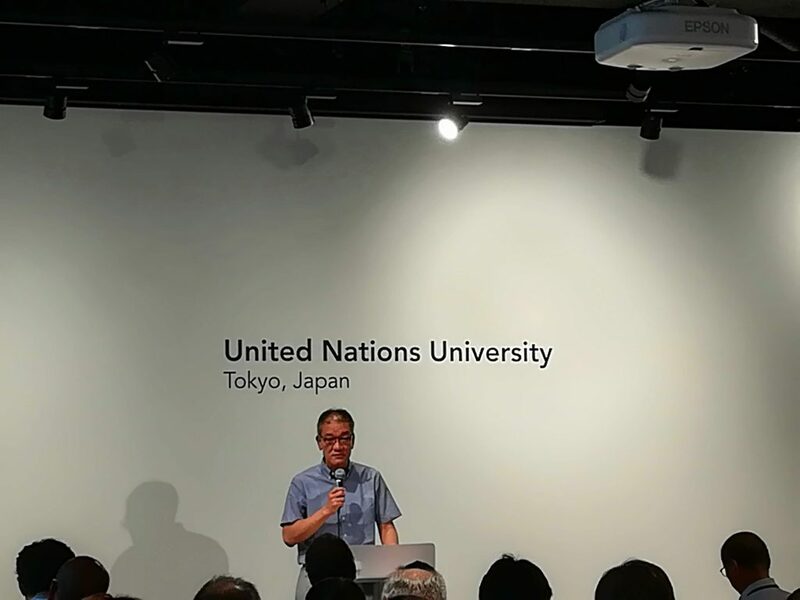 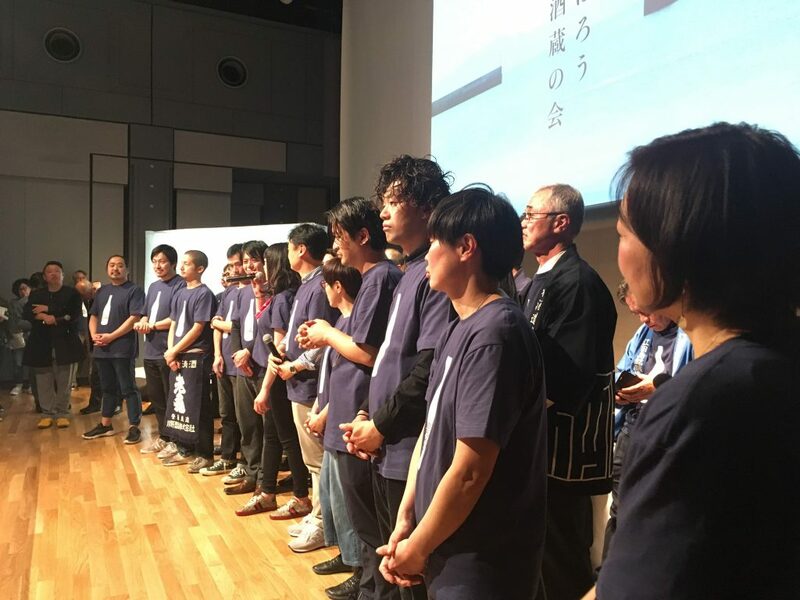 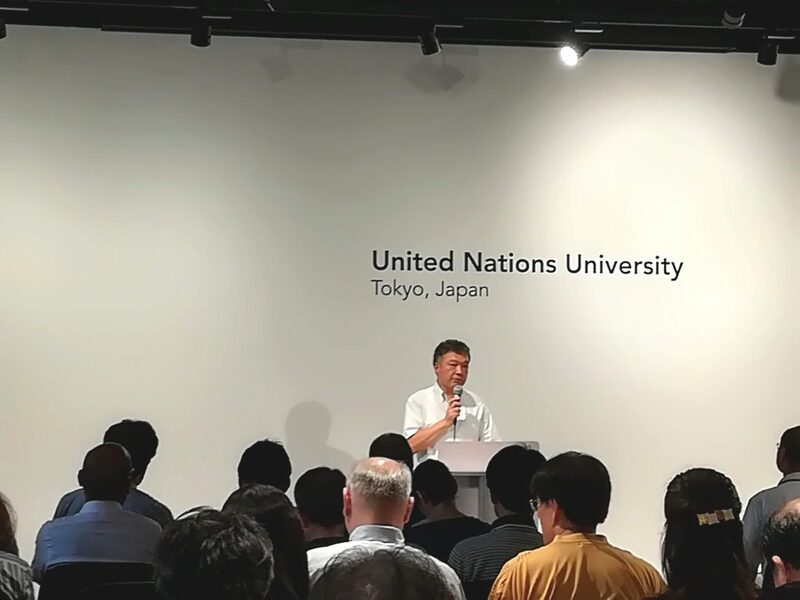 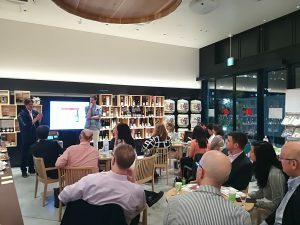 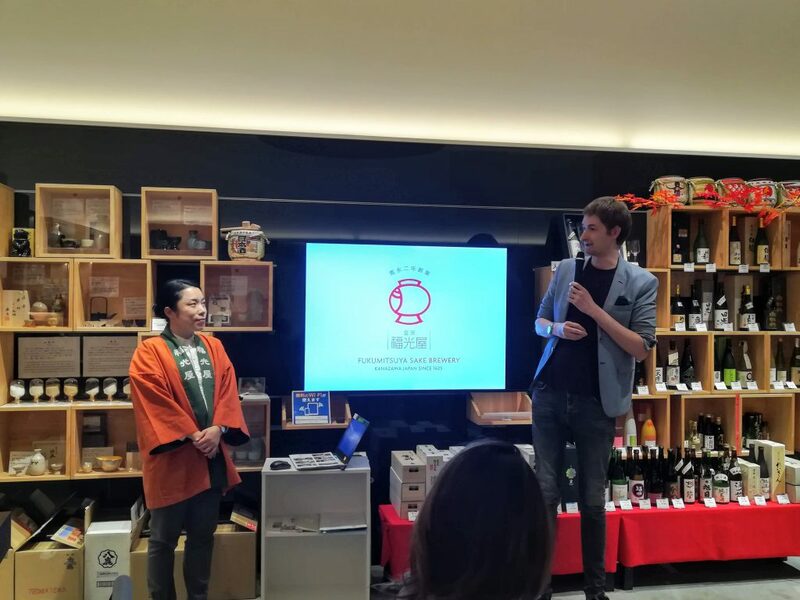 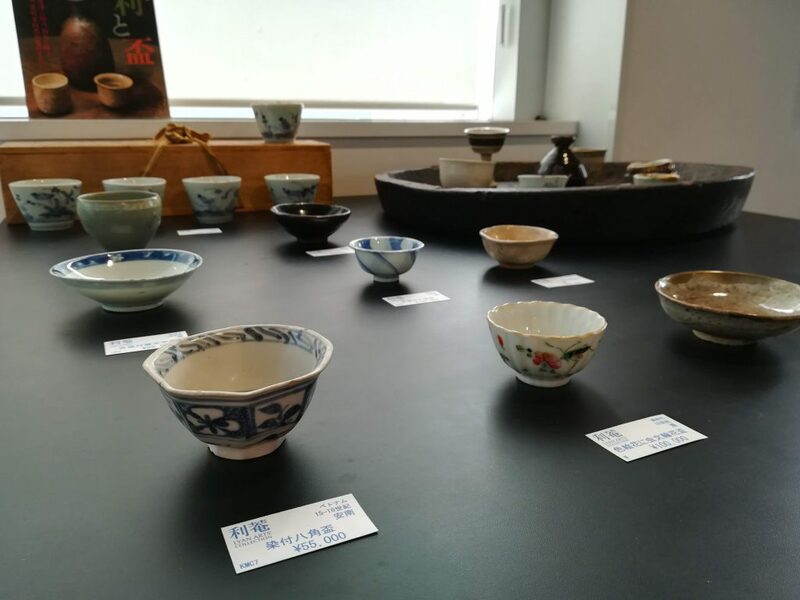 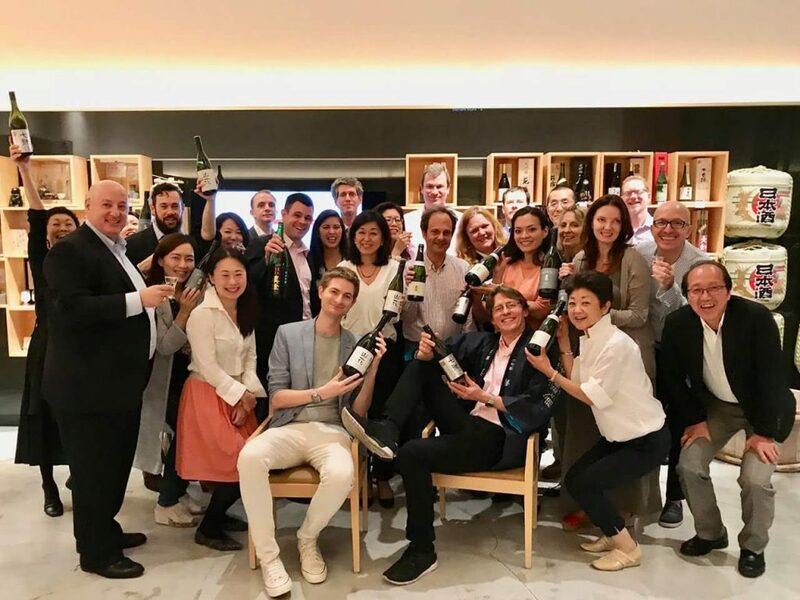 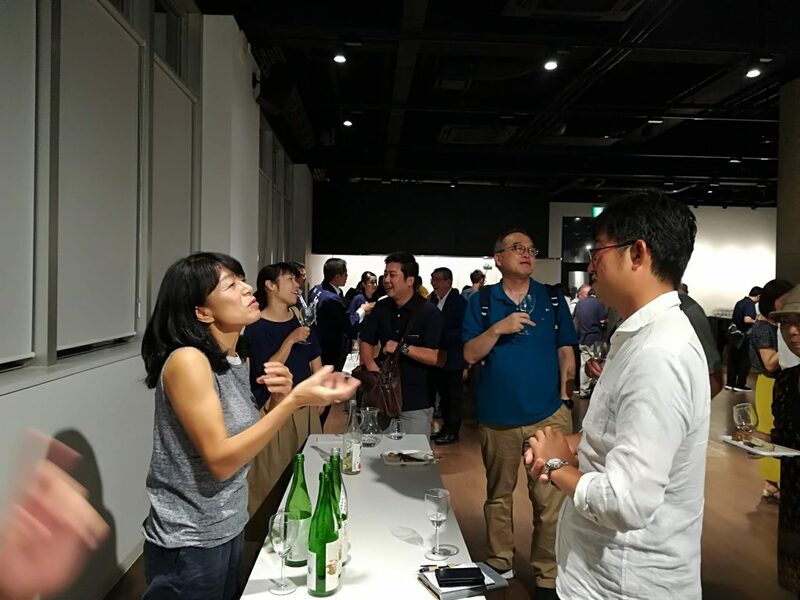 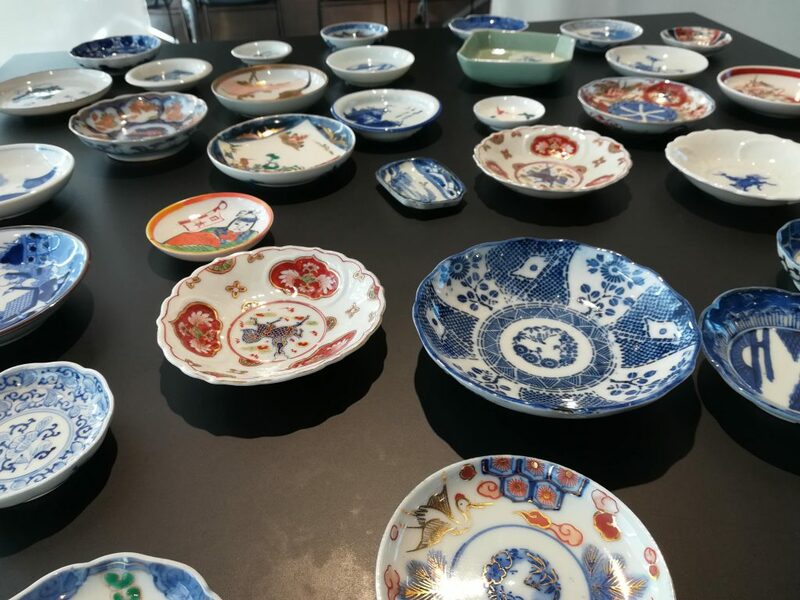 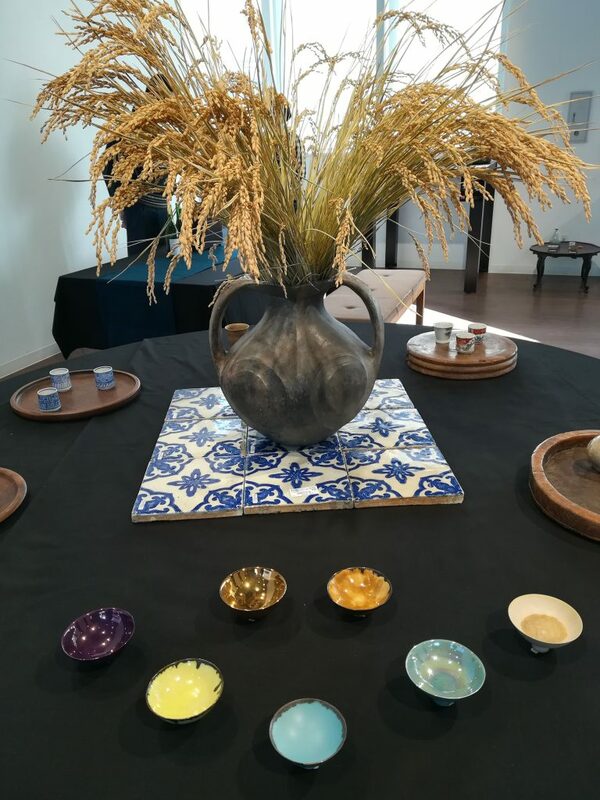 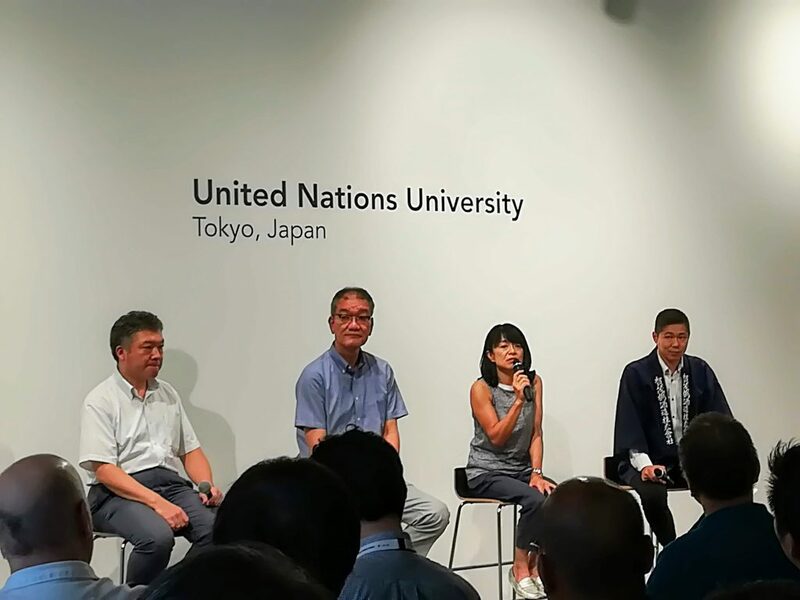 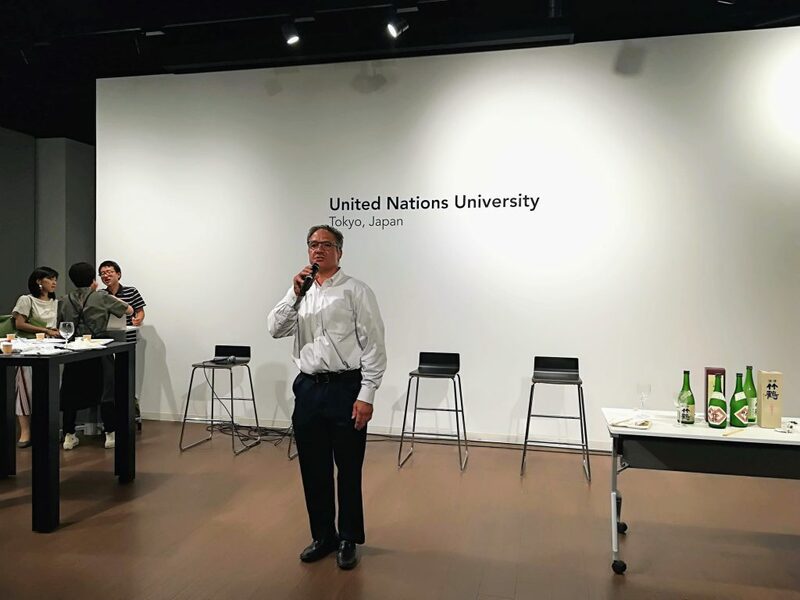 On 1st September, The sake 2020 project held the sake event named ‘Sake Historia’ #3 with the aim to learn about modern history of sake, because the foundation of sake of today has been established at that time. 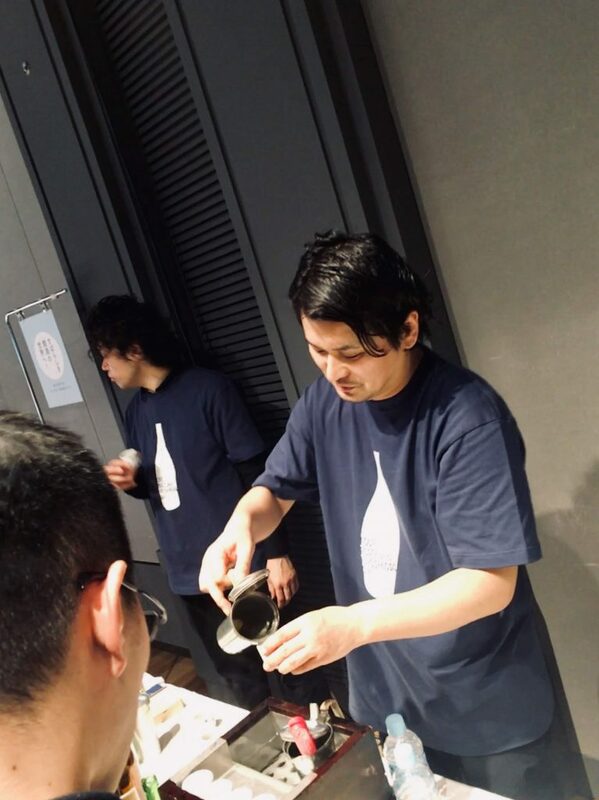 We focused Mr. Senzaburo Miura（1847〜1908）, the great man of the Meiji era and Hiroshima’s sake. 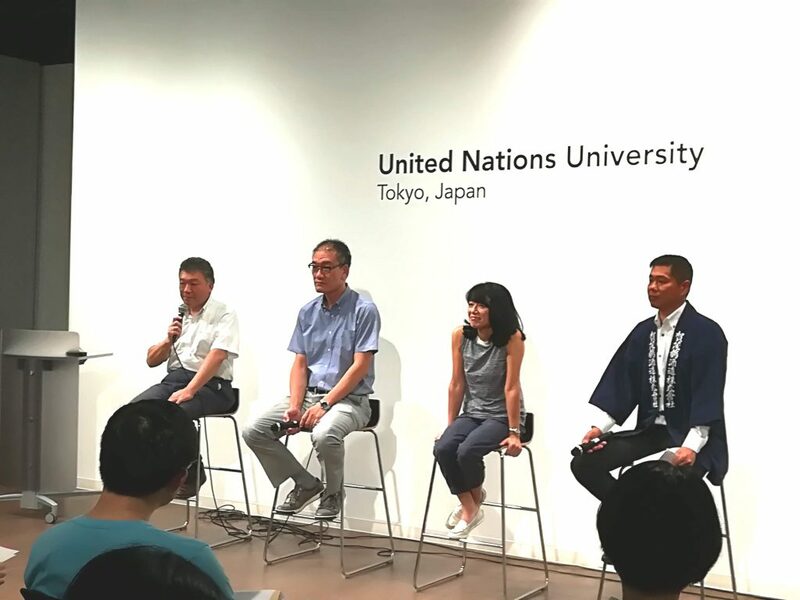 Mr. Haruo Matsuzaki told about Mr. Senzabuto Miura’s life and his sprit. 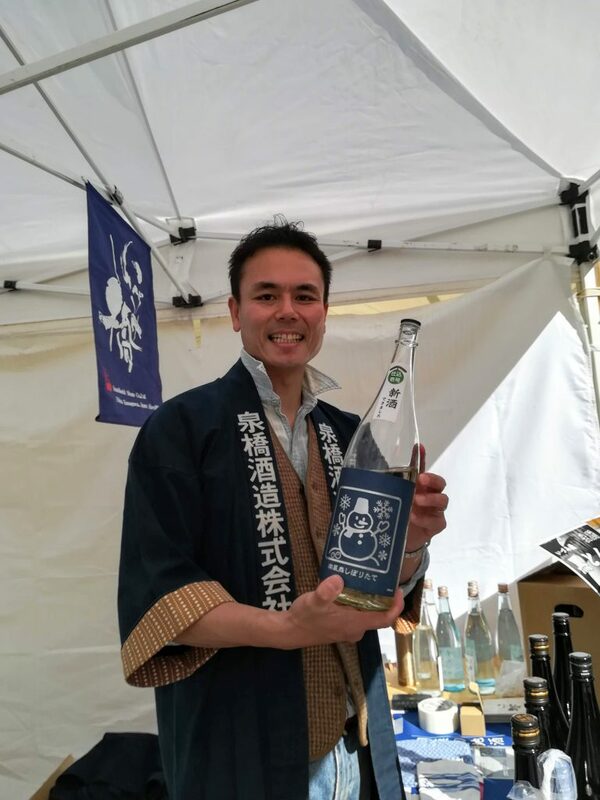 Mr. Tatsuya Ishikawa, great TOJI of Taketsuru sake brewing company, told about the strength of Hiroshima’s sake. 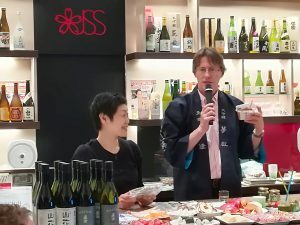 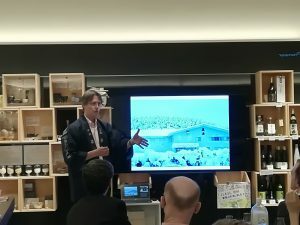 On 24th May, the 17th sake salon of the sake2020 project was held with Mr. Keith Forum from Masumi in Nagano prefecture. 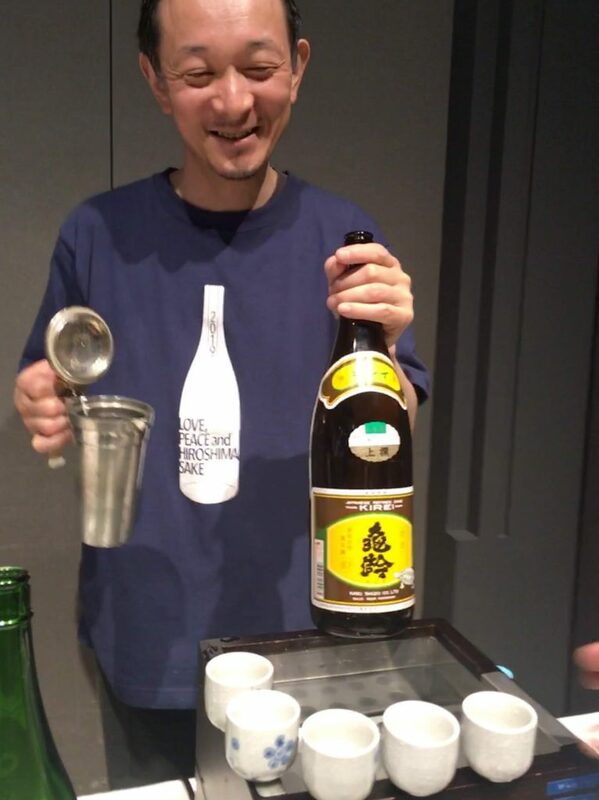 This brewery was founded in 1662. 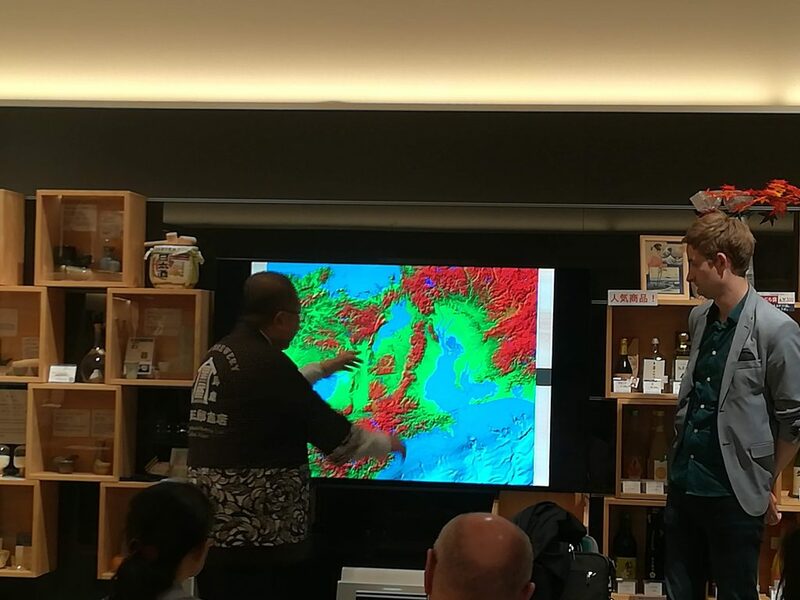 The very famous yeast number seven that is now used by over 60% of japanese sake makers was discovered here. 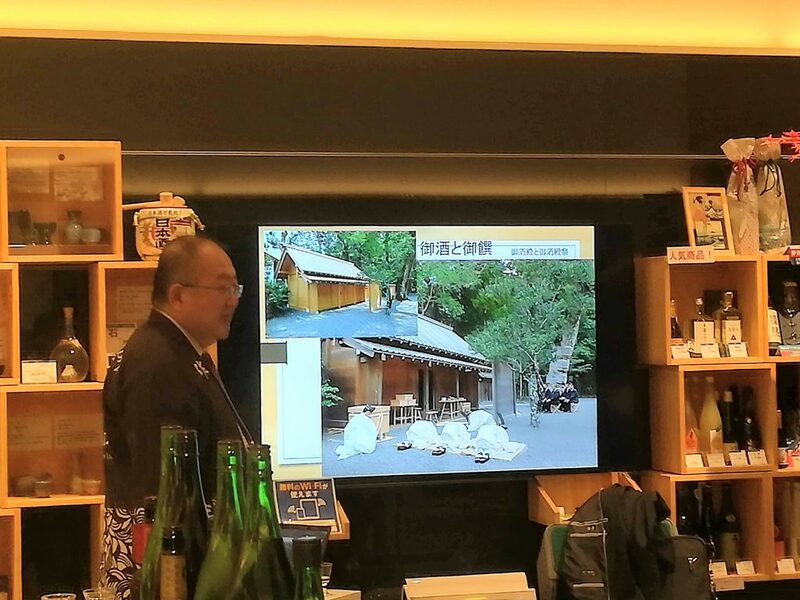 We enjoyed a lovely presentation by Mr. Keith and 5 great Masumi sakes! 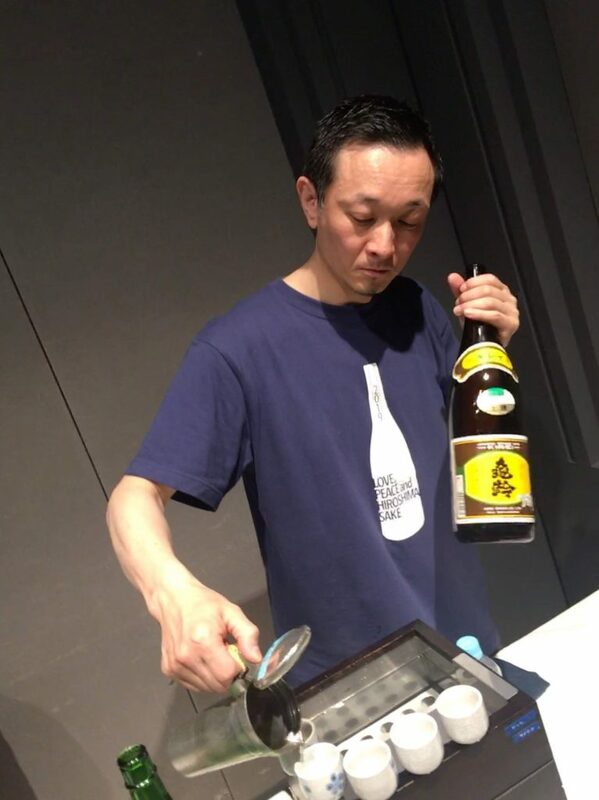 Especially NANAGO七號 , Junmai Daiginjo Yamahai super premium, was amazing! 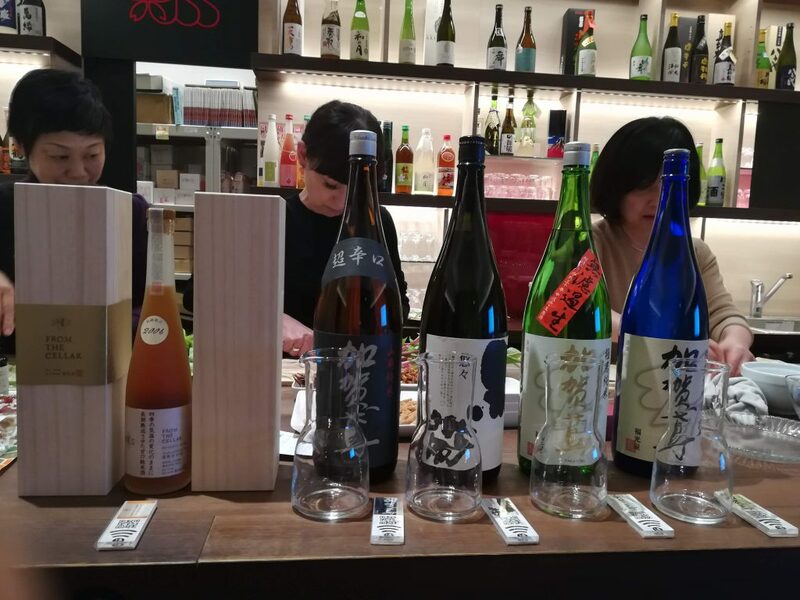 On 26th April, the 16th sake salon of the sake2020 project was held with Mr. Kenichiro Kojima from Toko in Yamagata prefecture. 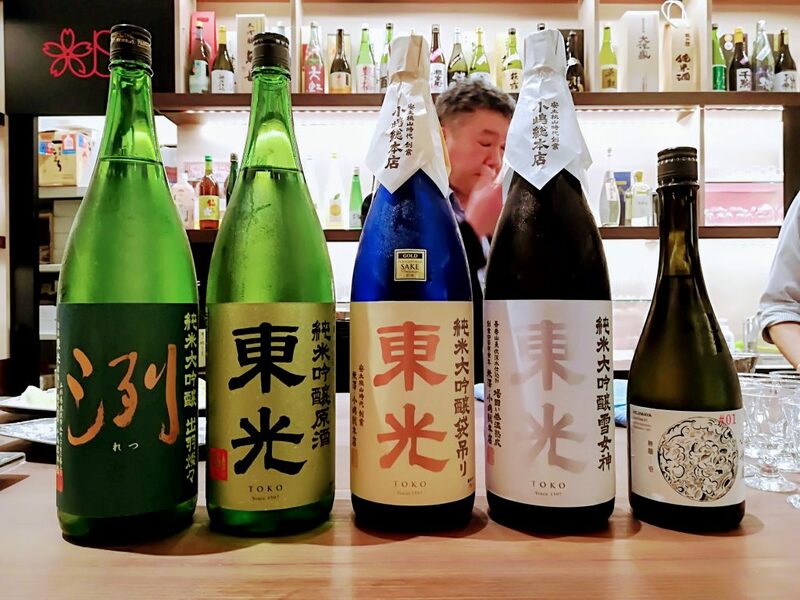 They are the 11th oldest sake brewery, established in 1957. 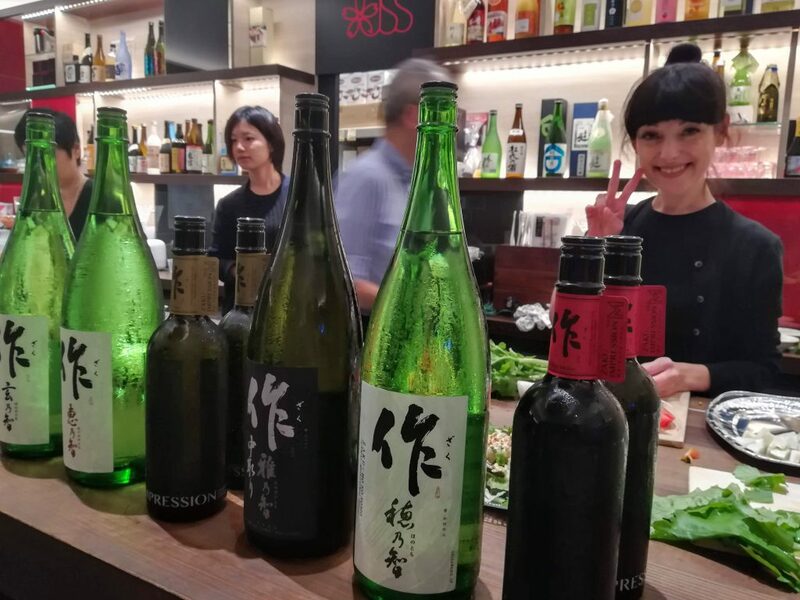 They were unusually permitted to brew sake for the load and KAMI, spirit of Shinto, even under prohibition ordinance in the famine. 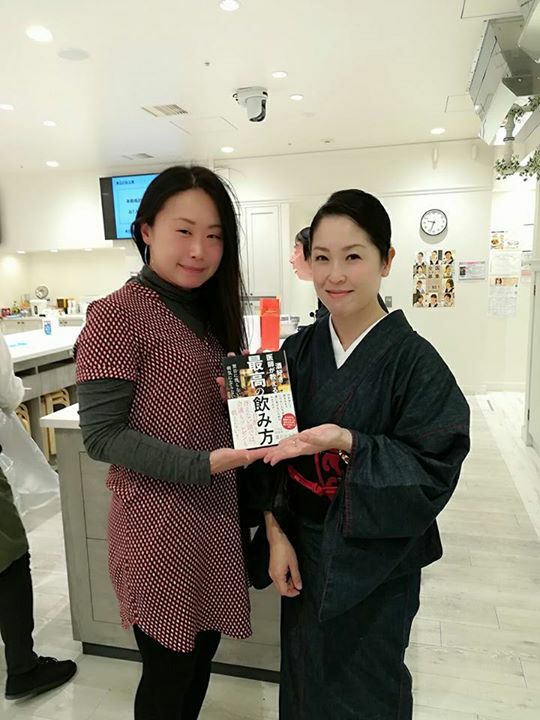 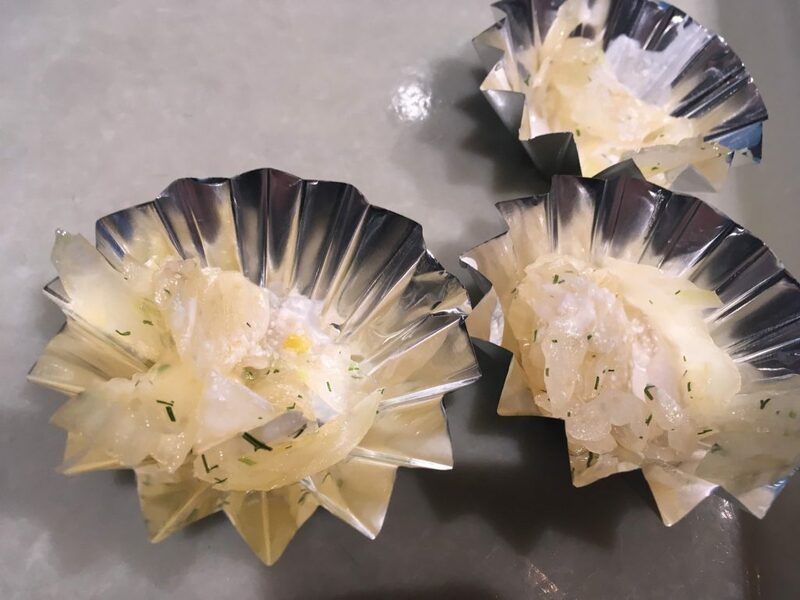 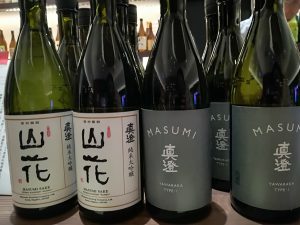 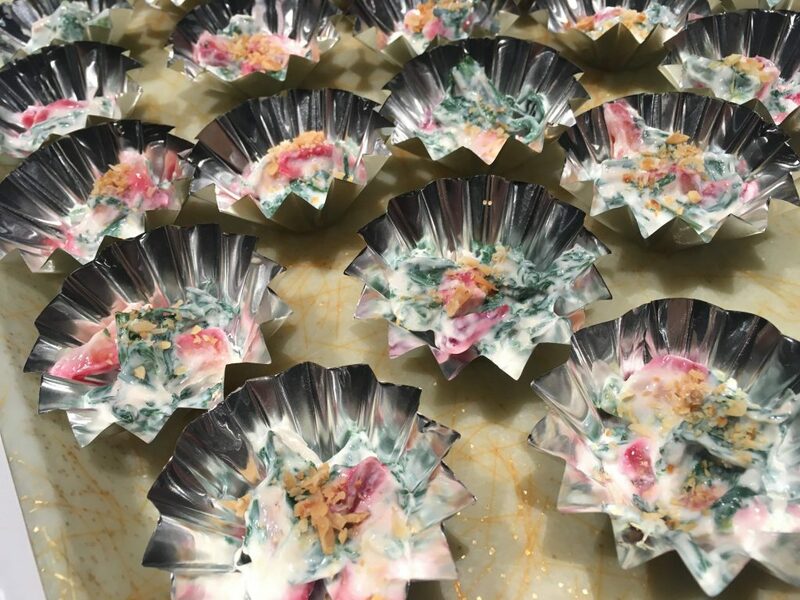 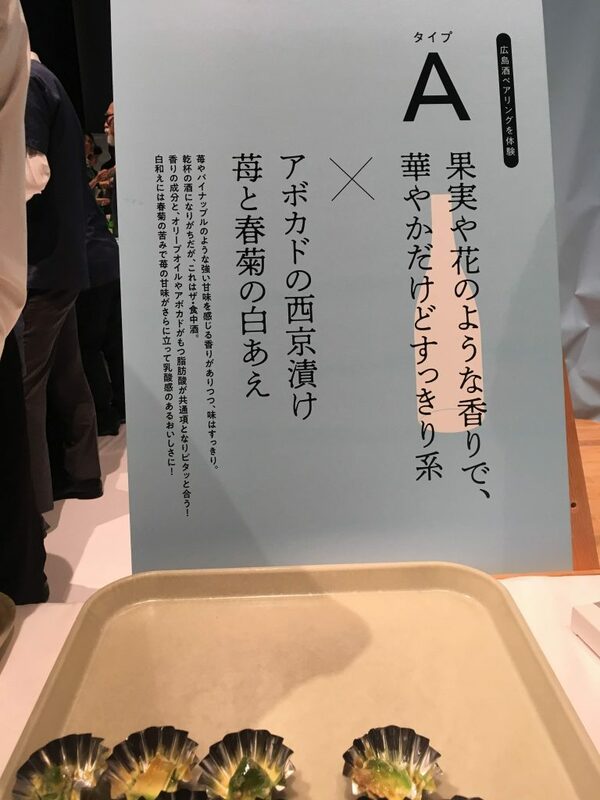 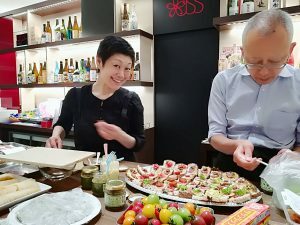 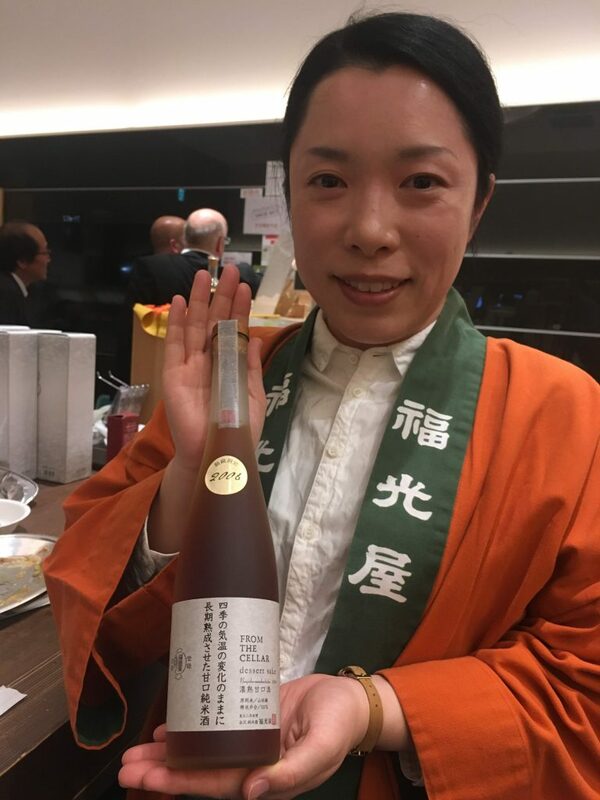 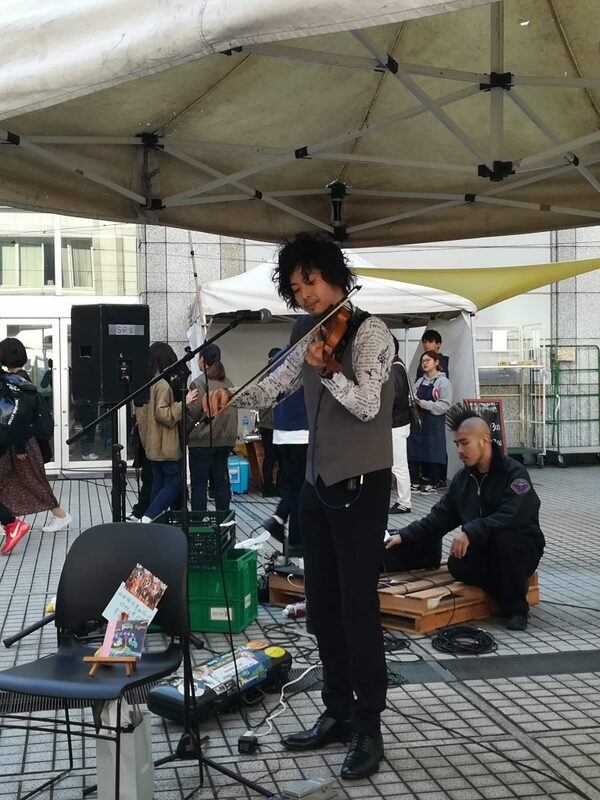 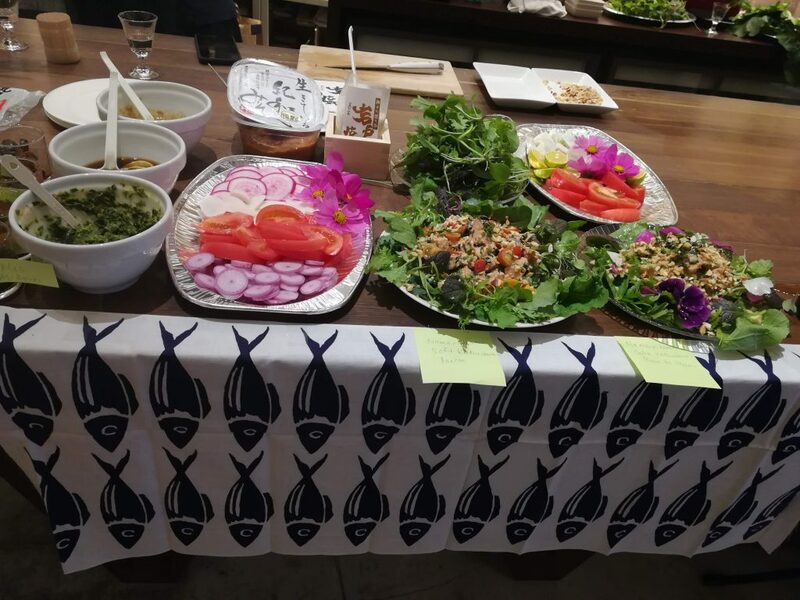 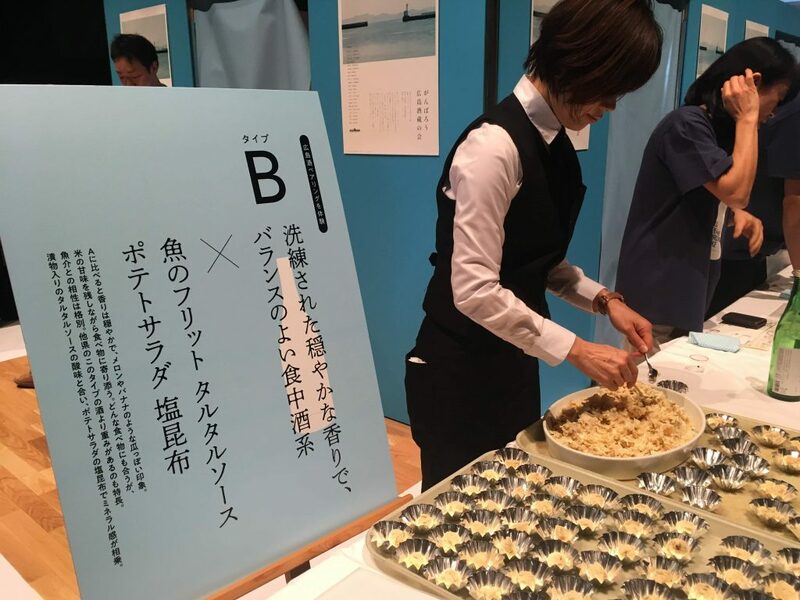 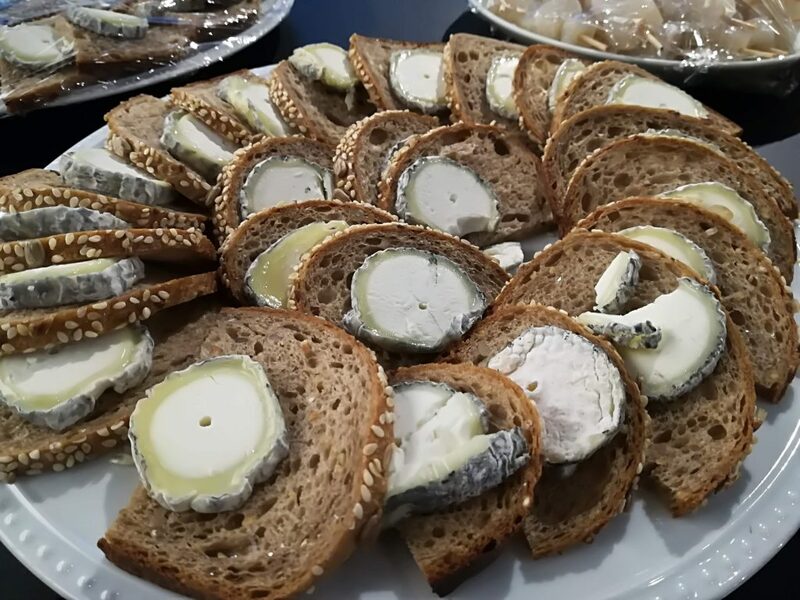 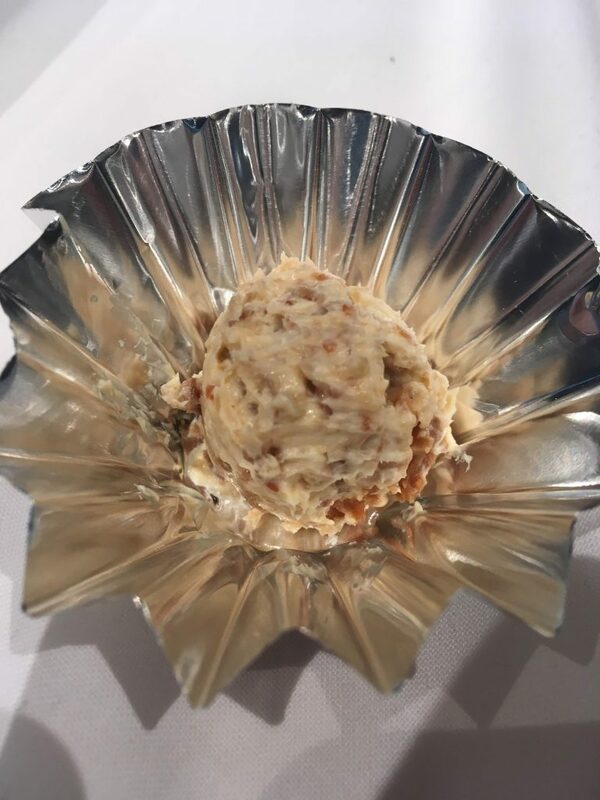 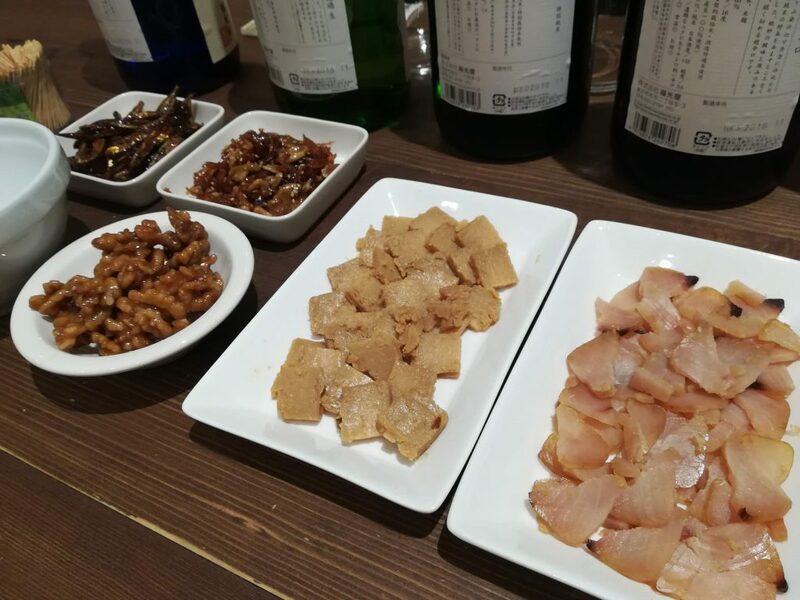 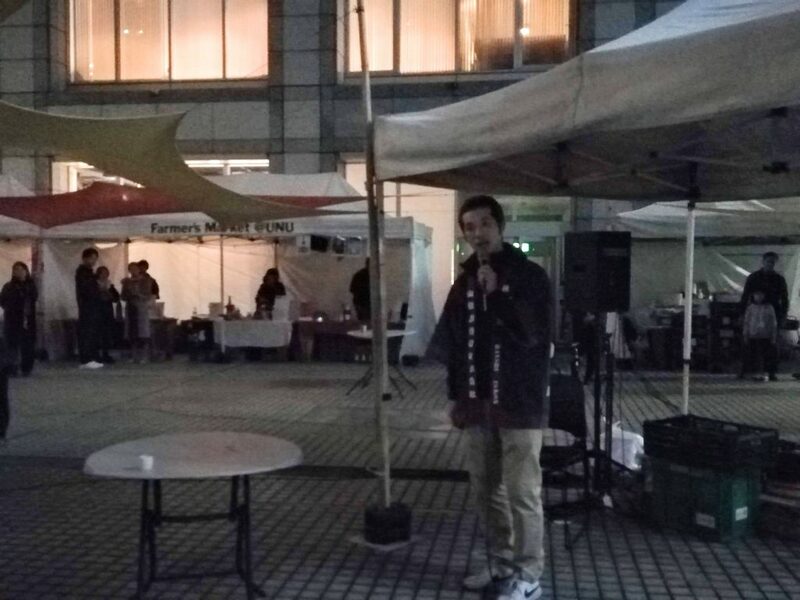 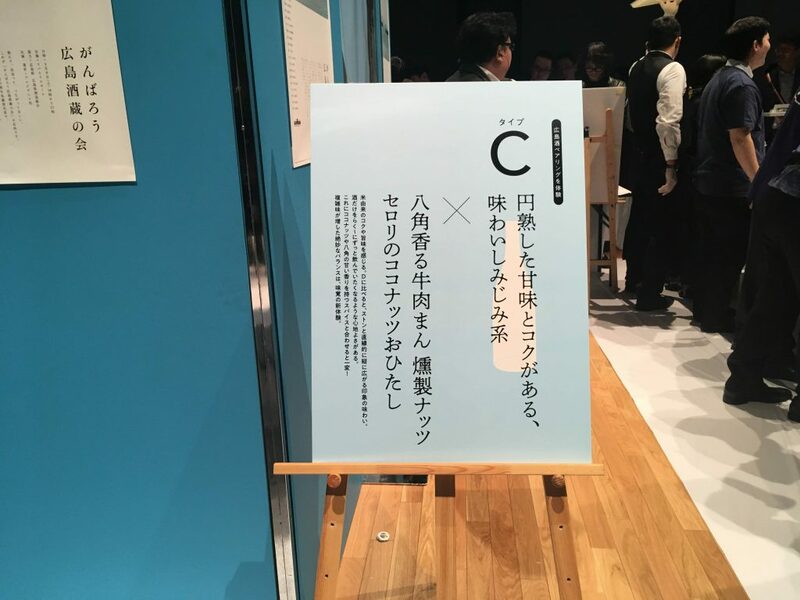 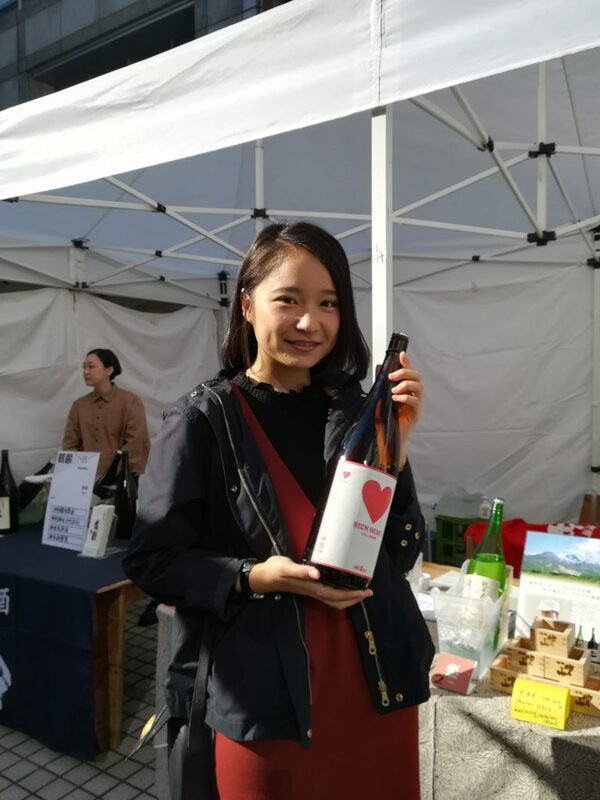 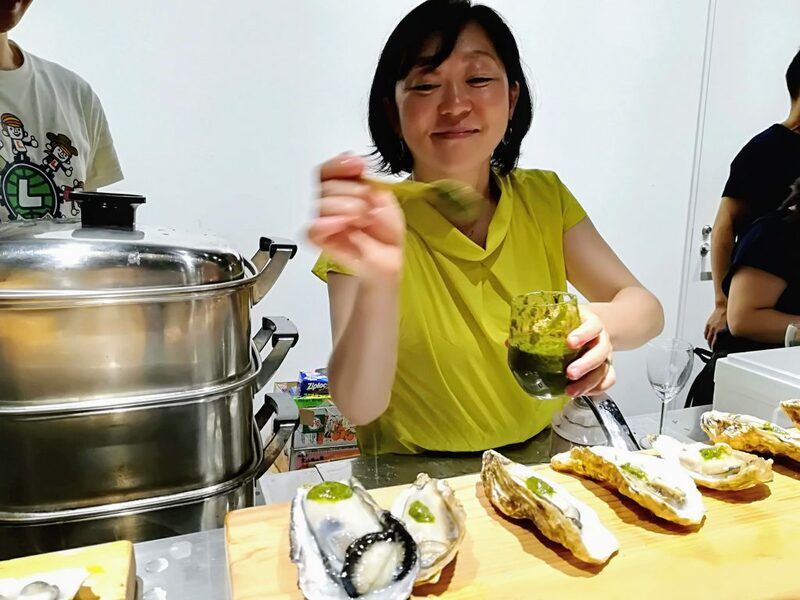 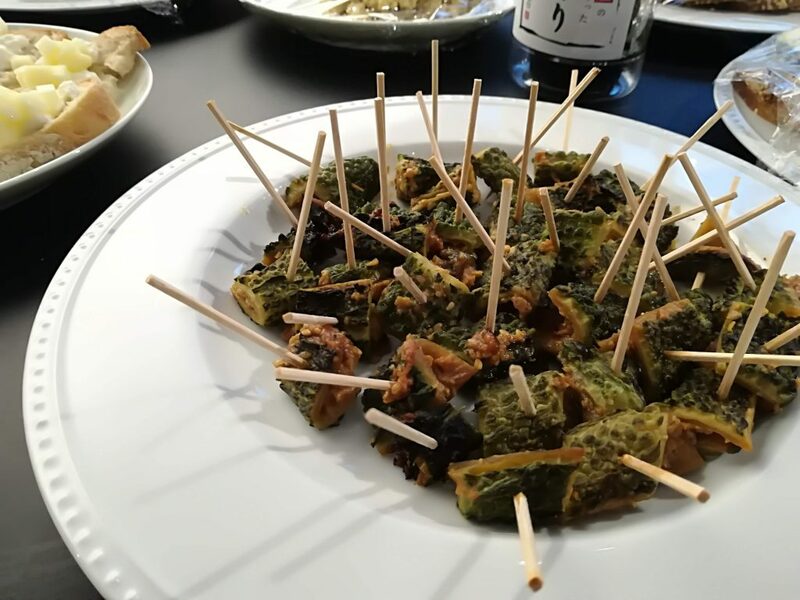 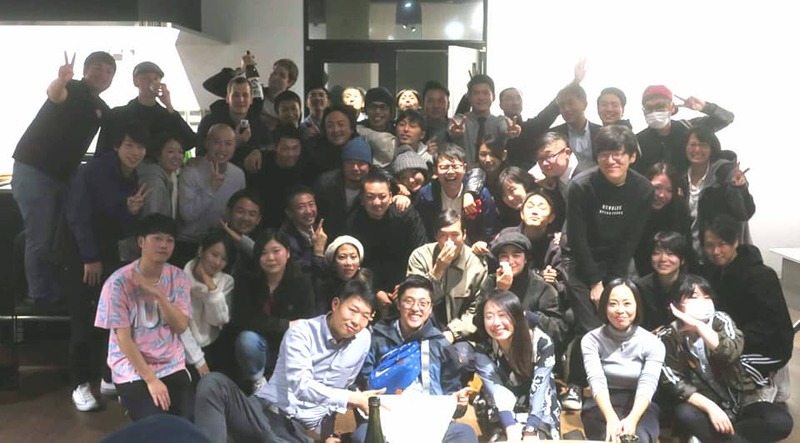 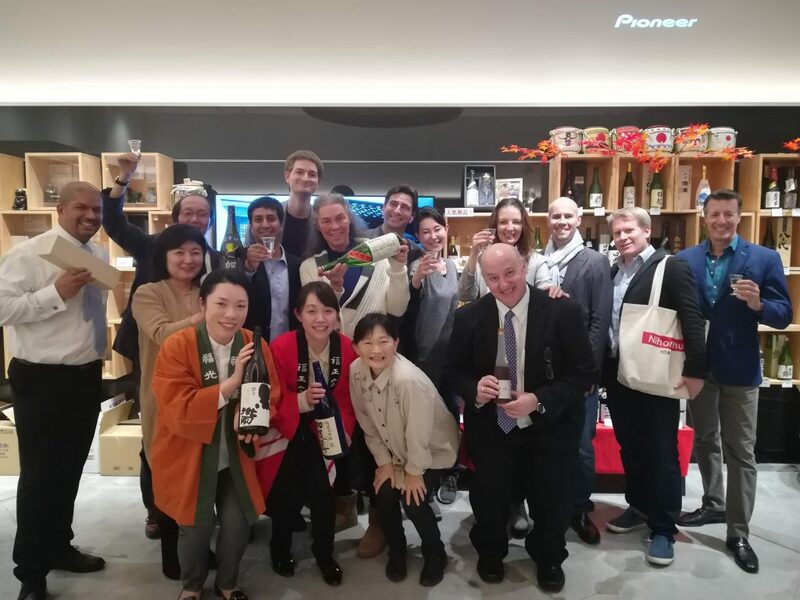 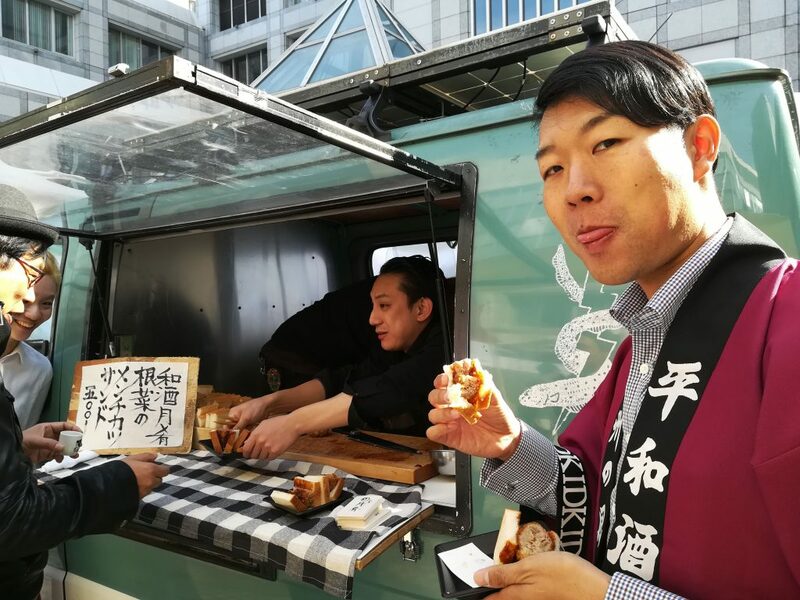 On 31st March and 1st April, a sake tasting event named ‘Aoyama Sake Flea vol.8’ was held at United Nations University in Aoyama, Shibuya-ku, Tokyo.